When my house is a mess it's hard for me to think clearly; which probably explains why I am in a fog most days. It's like all the legos, laundry, dishes and dirt are clogging up my brain; leaving me feeling frazzled and irritable. 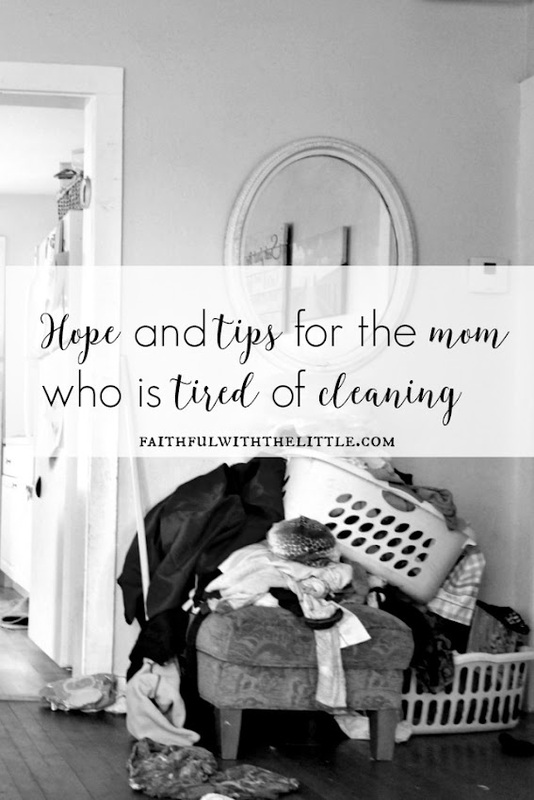 Though I try to stay on top of keeping the house clean, life with 5 kids (9-15mo) means there are bound to be messes no matter how hard I try to keep the dirt and clutter under control. Some weeks are busier than others and when we are in and out of the house the messes are being made faster than I can clean them up. Most days I get depressed thinking how often I have to clean and how little I have to show for it. Since we homeschool I feel like I am in a perpetual state of cleaning. If you're a mom with little or big kids at home or in school; I am sure you can emphathize with my venting. I love tackling a project and looking at my work with pride and satisfaction at a job completed and well done; it does my heart good. Though I might not want to admit it, I really do like to clean...just not all day!!! Cleaning...it's a job that is never done, and that is my dilemma. I have reluctantly had to come to terms with the fact that this is how it is; there is no way getting around it, things are going to get dirty again no matter how hard I clean. It's a hard pill to swallow. But the thing is, I really do love taking care of my family and home and I want to be faithful as a mother and a housewife. If you are at all like me I am sure you do too. The reality is, it's not always easy or pretty. We sometimes lose our motivation and way under the neverending loads of laundry and piles of dirt. So how do we find hope in keeping up with our home when there is no end in sight? Taking care of a family and home is a big job; a good job that needs to be done. One day we will reap the rewards of all the hard work and time we have put in but now we have to continue to be faithful in the trenches; in the season we are in. We can't give up! If God is able to meet all our needs, surely he will give us the strength to meet our family's needs. Cleaning can be mundane, messy and dirty but it has to be done, so we might as well start having a better attitude about it and start getting strategic in what seems like a losing battle at times. I find that if I focus on being thankful that I have a home, children and a husband to clean for, I am less inclined to be disgruntled and my tasks become easier and even a joy. When I think about the neverending messes my family makes it only leads me into a downward spiral of complaining and discontentment. Before I met my husband I dreamed of doing his laundry and cooking for him. Before we had children I dreamed of washing little baby clothes and cooking for them; of course I didn't realize how many dirty clothes and dishes they would make but nonetheless I am so thankful for the privilege I have of being able to meet their very practical needs while living out my dreams. What can you focus on that will help you to overlook the messes and see the blessings? Don't fool yourself into thinking that it will be easier to do it yourself. It might at the time but you will pay for it later. Be creative, make it a game or a race, offer rewards or even bribery, clean with them. Whatever you find that works for you, just get your kids involved! And don't forget to be consistent and patient...ahem. If my kids think they can get me to budge an inch, they will take a mile and soon I will be doing their chores. What can you delegate that you have been doing yourself? Messes and spills are going to happen but if you can minimize them, then by whatever means possible, do it! We have a rule in our house that there is no eating or drinking outside of the kitchen(mommy and daddy excluded). This not only saves my sanity but my floors and couch as well. What boundaries could you set that would make life a little easier for you? Everyone has different needs and priorities for their families. Don't think that just because so and so sweeps, mops and vacuums her floors every day that you have to do the same or that if what's her name's house is spotless all the time something must be wrong with you. Choose to tackle those problems that need your most immediate attention and don't worry about keeping up with Better Homes and Garden's, Martha Stewart, or all the "picture perfect" blog homes. The reality is, that having the picture perfect home is not what is important; creating an environment where love, joy, and peace dwells, is. I find that if I am able to keep on top of my household priorities it is much more conducive to my family and I living in harmony and my brain being able to function. ~Putting a load of clothes in the washing machine before the hamper overflows. Here is my list of essential natural cleaning tools that I always have on hand to fight the germs and dirt. This is what helps me keep my home functional most days. Of course there are always those days where nothing gets done or goes as planned as I like, but it always helps to remember what I need to focus on to get things back in order. Find out what you need to prioritize and if you focus on those needs it will be easier to keep from getting overwhelmed and frustrated. I easily get overwhelmed when everything piles up but sometimes I have to turn off my need to keep things clean so that I don't miss out on the important things in life like family gatherings, church, fellowship and the kids sports games...etc...etc. Because there will always be messes to clean up. Sometimes when we are having an unusually hard and messy day I will take everyone out of the house to get a breather. I find I can better face the mess that awaits me when I clear my head, reevaluate the situation and come up with a battle plan. The best case scenario is when my husband can take the kids out of the house for a couple hours to let me clean in peace and quiet. It's amazing how much I can get done in such a short amount of time when I don't have all the kids running around crazy undoing all my hard work. I feel like I can face the messes to come when I am able to start with a clean slate. If you are able to find a willing soul to help lift your load, take advantage of them and make it happen! If your husband isn't able or you don't have family near by; get a babysitter or exchange babysitting with a friend. So when you feel like you might be starting to lose it, take a break from cleaning; your family and your frame of mind will thank you. Know that there are going to be times when your house is not going to be as clean as you would normally like...give yourself grace. When there is sickness in your family...give yourself grace. If you homeschool and you are busy with school most of the day...give yourself grace. If you work out of home...give yourself grace. If you have little ones that get into everything and make a mess out of anything...give yourself grace. When a crisis arises...ask God for grace. God is so gracious with us in our weaknesses, we need to receive the free gift of grace that he offers to us daily and know that is enough! He knows we get tired, weary and weak...the perfect vessels for displaying his power! How have you found hope in the neverending battle of messes and dirt? Do you have any tips that have helped you survive? Thanks Kelsey! Yes, I totally understand! My 3 year old and 16 mo old are my biggest messer's and not very helpful with cleaning up. I have been taking more time with my 3 year old to help clean up his messes. It does take some time, but I know it will pay off as I have seen in my older boys:) So keep persevering! 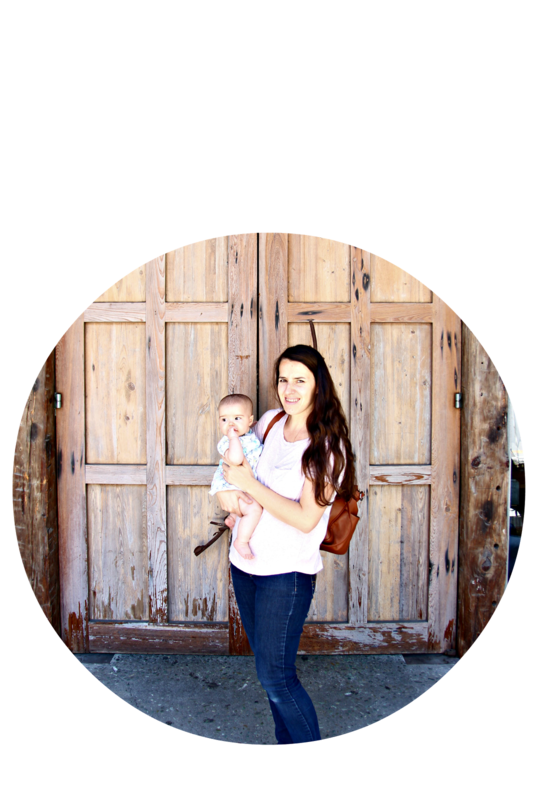 Thanks so much for the encouragement of this post and linking up at Favorite things Friday! You are my feature post this week! Sometime during the week I will be linking this article and you will be featured on this weeks link up (goes live tomorrow). I hope it encorages others as much as it did me! Thanks so much Rebecca! I'm so glad you were encouraged!! Great post, so much to offer here! We had the same rules (I had four - only one is still home), no eating or drinking outside of the kitchen, and shoes come off at the front door. And yes, give yourself LOTS of grace! You have a great game plan! Hang in there, mom. Thanks Ruthie! Yes, Grace is non negotiable! Good points in your post... there are difficult days... so many of them... and yet, God gives grace and encouragement. I love the practice of giving thanks... it really does help to pull us out of a bad attitude. Yes, being thankful is the cure to discontentment! Thanks for stopping by!